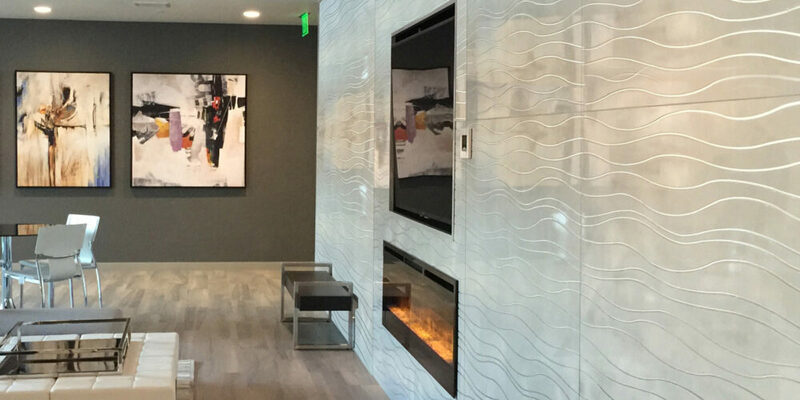 Moz Engravings was installed as a dramatic feature wall in the revamped lounge at 360, an ultra high-end Silicon Valley high-rise apartment complex. The glass-clad building features cutting edge design and resort-style amenities and its popular lounge is used for private parties and other events. 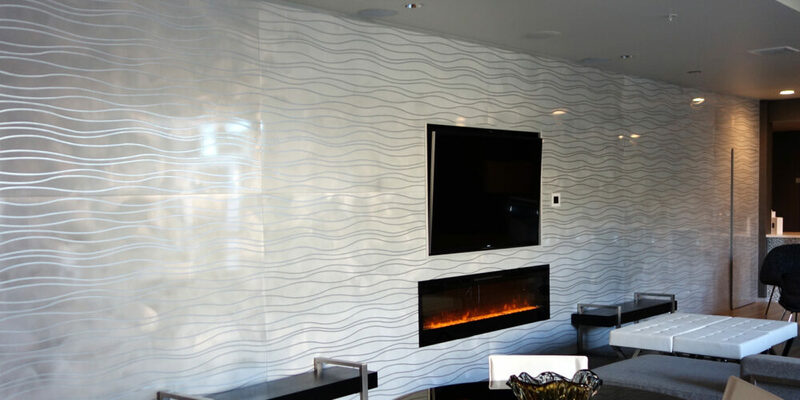 Designer Judy Fercioni of Fercioni Design, Calabasas, CA, chose a Currents pattern for the 38-foot long Engravings wall and finished the multi-dimensional panels in Ivory-Clouds grain as background texture. 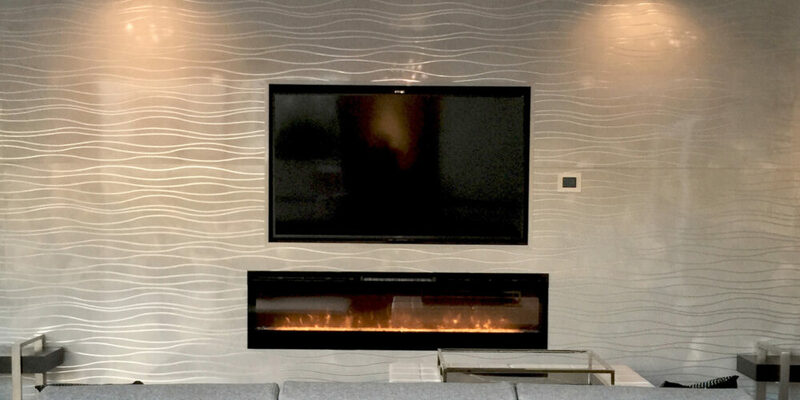 The Engravings Wall functions as the centerpiece of the Lounge – furnishings and artwork radiate from it. “Moz Engravings was the ideal complement to the design aesthetic of the 360 lounge,” says Ms. Fercioni.